Since 1853 Norway's Jotul wood burning stoves have been a bench mark for quality, reliability and elegance. The classic arches of their glass front designs and the simplicity of their ubiquitous “cigar burn” stoves are well known all around the world. Quality and passion for design are evident throughout their stoves. 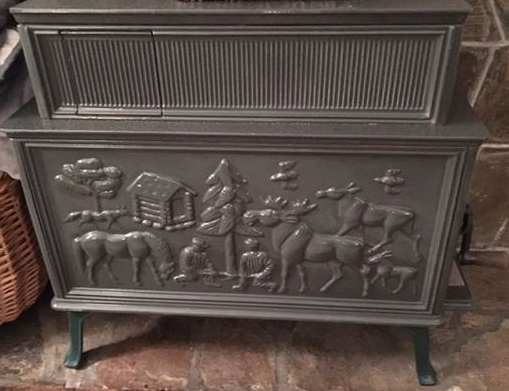 No detail is too small to ignore and readily available replacement parts make sure these beautiful stoves can stay functioning at their best for generations. While many other brands have focused on developing catalytic stoves, Jotul has focused on using their reburn technology to provide a consistent and clean burn season after season. I have been around Jotul stoves for over 30 years. My first experience with them was at the barn warming myself as a young child over the Jotul 118 cigar stove in the tack room. Since then I've had the joy of having multiple Jotul wood stoves on my own farm. Of all the different wood stoves that I have used Jotul makes one of the easiest, most reliable units. 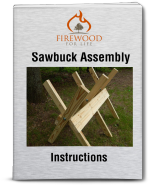 It may not be perfection but if you treat it well and feed it well seasoned firewood, it will give you many years of worry free heating. Even in the off season, Jotul stoves with their elegant beauty adds to a home or work place. They offer their stoves in a range of colors, from classic stove black, to bright and vibrant enamels, all of which provide you with the strong heat you can expect from a solid cast iron stove. For the last 14 years my primary wood stove has been a Jotul F600 CB Firelight. The Jotul Wood Burning Stoves Firelight is marketed as the largest non-catalytic wood stove in the world, and it sure can pack a punch. For years it heated my yurt through wind swept winters of deeps mountain snow. It has since moved into my office where it warms my whole drafty barn and provides light as I write this. Coming inside to its bright cheer on a cold winter day after working out in the woods is a great joy of mine. Sleeping through cold windy winter nights when the temperature drops below -15 degrees knowing that my Firelight will still have coals in the morning is a great comfort. If I treat my Jotul stove well it has always done the same, rarely giving me problems as long as I respect its specific characteristics that also make it environmentally friendly. The most important factor to keep your Jotul wood burning stove happy is making sure that the wood that you burn is seasoned and dry. While these stoves will do okay once burning if you feed it with wet seasoned wood (something that happens in the winter sometimes) they will not start easily with wood that is even damp because the air is metered through the intake to keep a clean burn going. These stoves will not burn green wood except ash (due to its low average moisture content even when green) because the metered air flow to ensure clean burning does not supply enough air. The best way to avoid problems with damp wood is to keep a quantity of softwood kindling on hand to start your stove with and get a bed of coals developed quickly so you can assure trouble free burning from your hardwood. Another important factor is keeping your Jotul wood stove, clean. If too much ash builds up it can block the intake air from getting to the coals or even bury your coals and smother them. Jotul makes this extra easy with the Firelight, the firebox has grates at the bottom for ash to fall though and there is a lower door you can open to remove the ash pan for easy disposal. Wood ash makes a great soil amendment if you have acidic soils and a home garden or lawn is a great place to dispose of it. "I read your article about the Jotul F600. I have had one for 6 years and experienced two problems that were dismissed as caused from overheating. The warped heat plates were caused by a defective factory gasket in the glass pane. Now I have a broken section on the left tube holder. When I went to order, the dealer said it was only available as a complete air kit at a cost of $300. I sent pictures, etc and Jotul said it was overheating. Is this a common problem? I've been burning wood since 1982 and I do not overheat the stove." Yes, I know of these issues. The baffle plates are consumable and last for about 10 years if they're not over fired. The glass gasket I have not had an issue with, but the tube holders do break over time. When I replace my baffle plate next year I intend to fix the tube holder with stove cement. A very common cause of over firing in these stoves is the ash door being left open or the gasket being bad. This will turn the stove into a blast furnace and destroy the baffle." The most iconic of Jotul's wood burning stoves is probably the 118, known as their cigar burn stove because the wood loaded into the long narrow firebox burns from end to end not cross log as most styles of wood stove tend to. 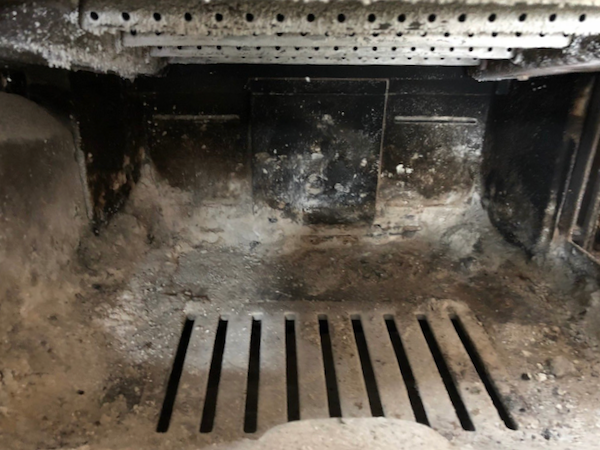 Over the years this stove has been refined to include a top reburn chamber separated from the main firebox by a horizontal baffle, similar to the one found in the Firelight. This reburn chamber allows super heated gasses to burn at a higher temperature than in the primary combustion chamber, effectively burning the smoke to reduce particulate emissions and increasing efficiency. This is the technology that allows Jotul stoves to consistently burn cleanly year after year without the need for expensive catalysts that lose efficiency quickly. The modern refinement of the 118, the F 118 CB Black Bear, has the beautiful castings you would expect from Jotul along with the iconic text which translates from Norwegian to “I built me a flame late one night. When day is done, God will my flame never die.” That traditional design cue goes along with a motif on one side and a ceramic glass front door with a diagonal cross hatch of cast iron. The Jotul Wood Stove 118 is the smallest wood stove they make. This has encouraged its use everywhere that a simple economical heater is needed. From the tack rooms of my youth where first experienced the 118's warmth to the new small house and trailer home movement, the 118 is the perfect stove when you have limited space but still desire the radiant warmth only wood gives. I have talked to numerous happy 118 owners who love their stoves just as much today as when the bought it over 30 years ago. 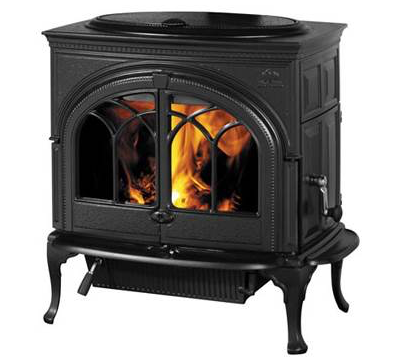 Buying a wood stove is a big decision, it is one that has numerous implications in the value and enjoyment of your home. Thankfully there are companies like Jotul that make timeless products that add to your home. Whether your home is a timeless classic its self or a more modern interpretation, Jotul wood burning stoves have a style that will fit your home, and enough options in colors to fit any palate. While I did initially find the newer ones to be a little fickle, I have found that like any good friend, you learn from each other over time, and the little bit of extra consideration has more than paid back in the end with clean, inexpensive radiant heat.